The Wooden Canal Boat Society restores and maintains a number of wooden canal boats which are put to community use. The canal boats are kept at Portland Basin where they are maintained and made available for the public to enjoy and to learn about the local canal heritage. Every month, WCBS volunteers take Forget Me Not and Lilith on waterborne community recycling trips and the collected items are sold through our Charity Shop. The WCBS Charity Shop is at 173, Stamford St, Ashton-under-Lyne. It has a full-time manager and volunteer helpers. Most of the income needed to maintain the boats is generated through the shop. We are currently restoring “ Hazel” at our boatyard in Stalybridge. She is being restored as a traditionally built wooden canal boat with back cabin and accommodation for up to 10 for day trips or 6 for overnight accommodation. “Hazel” will be commissioned in 2014 to provide “wellbeing” trips for people with social care / mental health needs and commercial trips for paying customers and local businesses. We are slowly turning “Southam” into a “floating classroom” to provide accredited training in a range of community boating roles. We are developing a heritage boatyard at Knowl Street, Stalybridge. This will be equipped with a wide range of traditional tools and specialist boat building techniques. This will have the potential to provide a service to the boating community and long term opportunities for volunteering , skills training and job creation. 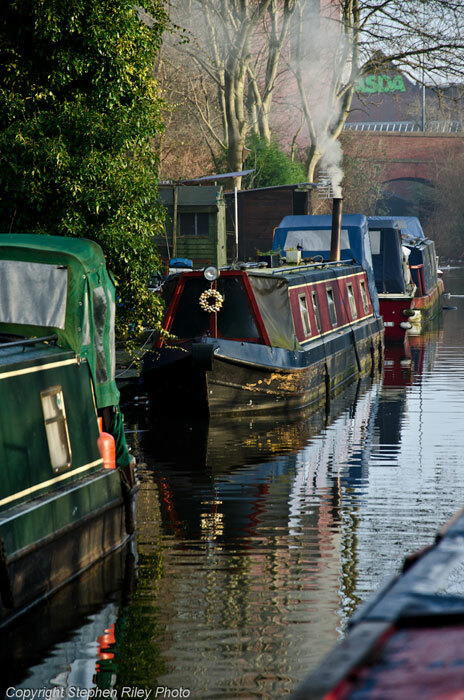 The Wooden Canal Boat Society provides many opportunities for volunteering. In fact we rely on volunteers to keep the society going. Boat maintenance. The boats that have been restored need to be well maintained to prevent them deteriorating. Boat conservator. Each boat needs someone to look after it. This needs common sense, ability to use a paintbrush, keep brasses polished and tidying. Charity shop sales. Displaying and selling items of clothing, sorting out bric-a-brac for resale in our shop in Stamford Street. Van driving. Someone to drive the van to pick up large, heavy items or undertake a variety of deliveries. Fund raising. We need people who are good at fund raising, making bids for grants and finding sponsors. Community recycling. We need people to help us collect bric-a-brac on the first Sunday, Monday and Tuesday of each month. Internet sales. We have lots of items that could be sold on ebay. Selling bric-a-brac. Could you sell bric-a-brac for us at car boots, flea markets, so, if you are honest, reliable and think you could help with any of these activities, please phone the shop on Stamford Street (0161 330 8422) and leave your name and contact number. We will get in touch.